Living in Hong Kong, listening and watching the hostage situation in Manila hits it home for me that much more because I might have very well crossed paths with them on the streets or have taken the same bus or MTR at a particular moment in time. In the hours that the Chinese tourists were held hostage, I cannot help but feel frightened for them, imaging how scared and helpless they must be feeling because living in Hong Kong, it is rare that we see any guns, much less one aimed directly at us, threatening our life in a real and serious way. A sense of disbelief at the police in Manila at how they handle the situation brought out the anger and frustration in me. I could not understand how the police could act so unprofessionally, undisciplined, and absolutely unorganized. The police showed the world they do not know what they are doing, their particular roles, or their part within the rescue operation. The hostage takeover resulted in a bloodbath whereby I truly belief could have been avoidable because the kidnapper was not a terrorist and the police are ultimately provoking him and have absolute no regards to the safety of hostages. When Cathay Pacific arrived at the Hong Kong airport terminal, I image the relief the people on the plane must be feeling; to finally be home, to be able to step off the plane, and to smell the familiar air. I cannot help but shed tears alongside the grieving family members as bouquets of flowers rest on the coffins of the deceased as they are brought off the plane. The grief, crying, and sadness were so palpable, tears would welled up in my eyes as I imagine what it must like if I am in their position. 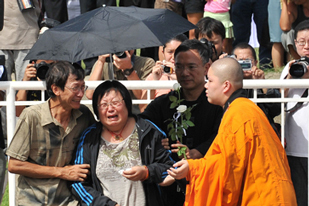 The Leung family impacted me the most; when a hysterical Ms. Leung climbed off the bus where she as held hostage for over 12 hours, I cannot help but grief alongside with her as her tragedy unfolds to the world. 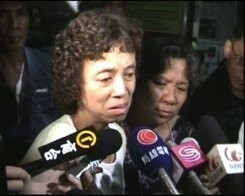 I learned that her 2 daughters and husband died in the crossfire exchanged between the police and the kidnapper. She told the world she wanted to follow them but realized she needed to stay alive and be strong for her remaining son, who was struck on the head and is currently unconscious. Earlier tonight on the news, I learned that the kidnapper was about to shoot at the son and one of his sisters saw it and took the bullet protecting him. The son must wake up soon and live prosperously because he’s all his mother has left. I pray God will look after the Leung family and provide them with God’s grace and shelter of love, to give them strength and courage to live everyday. I myself have lost my parents and my sister; I know the numbness of the loss will never go away. Time will heal and allow me to function and continue experiencing and living life, but it could not wash away the memories, the pain, sadness, sorrows, and loss that embrace me constantly. They could be trigged by a simple image, a phrase, or an event, but I have learned to continue living each day in a fulfilling way. Whenever something exciting or happy happened, I always wonder if my parents know or if they are proud of what I have done.